Increase order size through consistent presentation of sales, promotions and up-sell prompts. 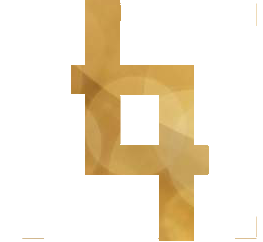 Save on labor and transaction cost through customer-driven sales transactions. 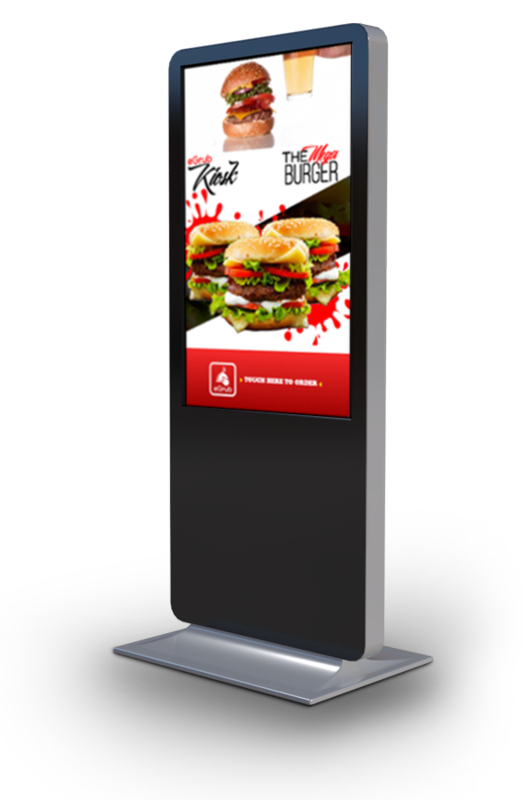 Make your fast food restaurant stand out! Extend your restaurant’s presence to a nearby office building, shopping mall, transportation center or hospitality destination. 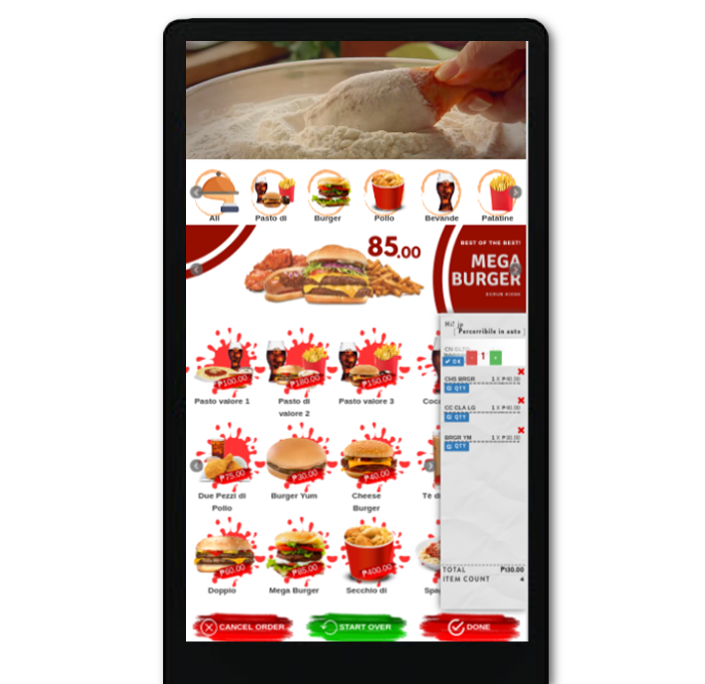 E Grub Kiosk is highly customizable making it tailor fit to meet your restaurant’s need! Speed up the checkout and ordering process by offering customers multiple places to order. Not only it eliminates traditional lines, it promotes fairness. The digital queue is orderly in that it exemplifies first come, first serve basis. Move some of your front-of-house staff to the kitchen to help with the influx of orders coming in, or reduce your staff on cash from two to one. For once you’ll actually be able to save money on labor – imagine that! Get up to 20% increase in revenue from automatic upselling, promoting specials, suggesting combos, etc. 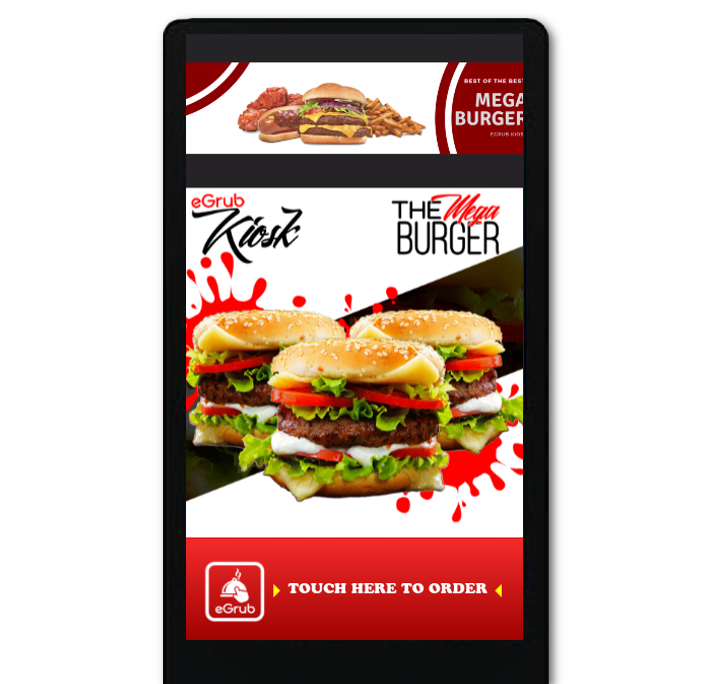 With the wide array of promotional strategy options, your restaurant will surely get to its goal instantly. 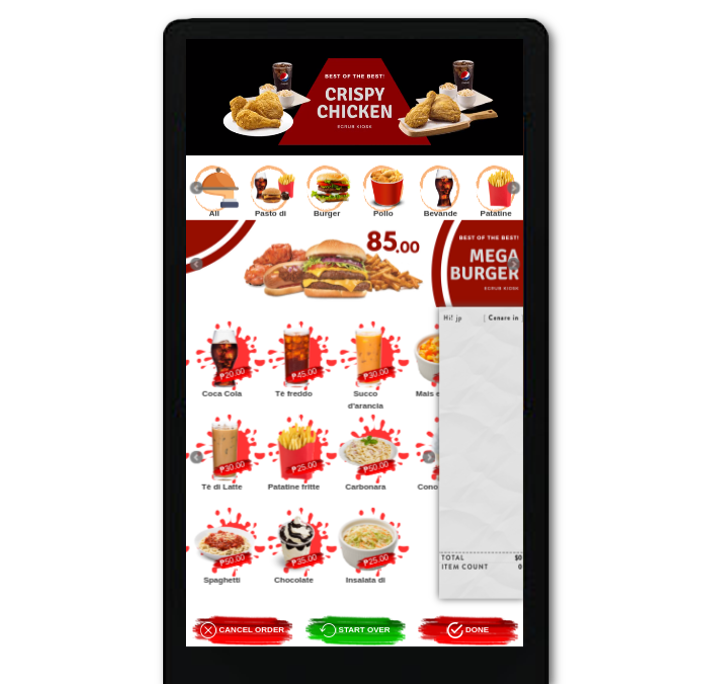 Customers get exactly what they want as they can order in their own language, zero chances of miscommunication and ability to modify an order before placing. Because presentation matters, add advertisements that could enlighten customers through appetizing display of videos and images. 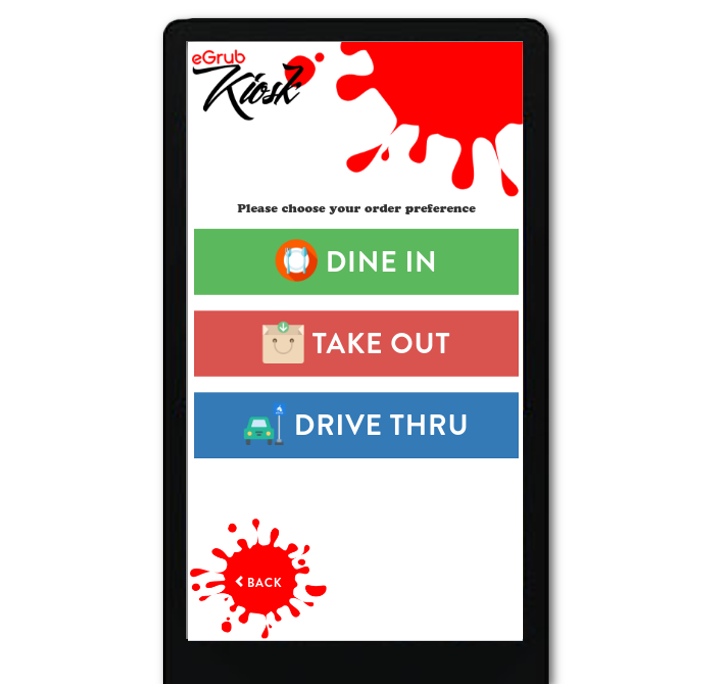 We can setup for you a kiosk specifically for drive-thru, and add another unit inside for dine-in and take-out. Well-guided ordering without waiter assistance. We provided icons and prompts to easily incorporate functions helpful to customers and users. 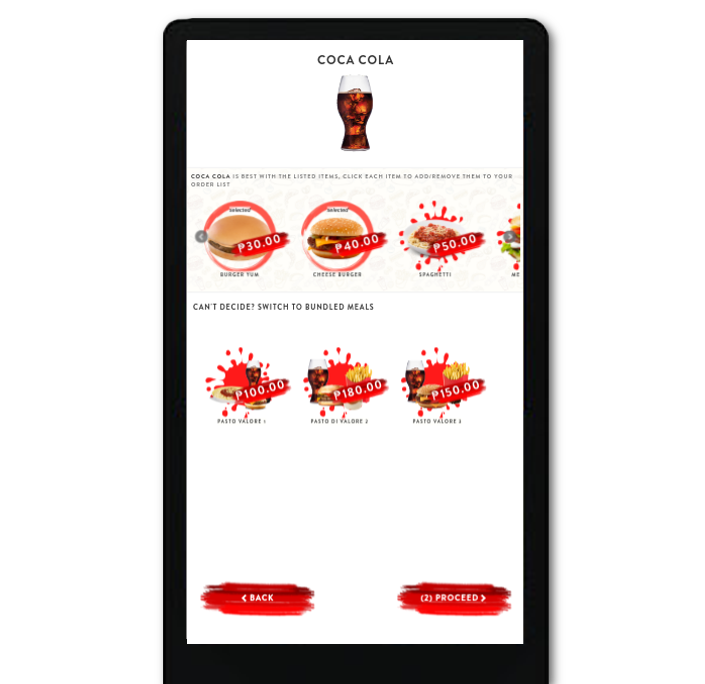 Consistency is one of the keys to promoting your products, we provided a way to inform customers about possible order combinations and suggest other menu items that might interest them. 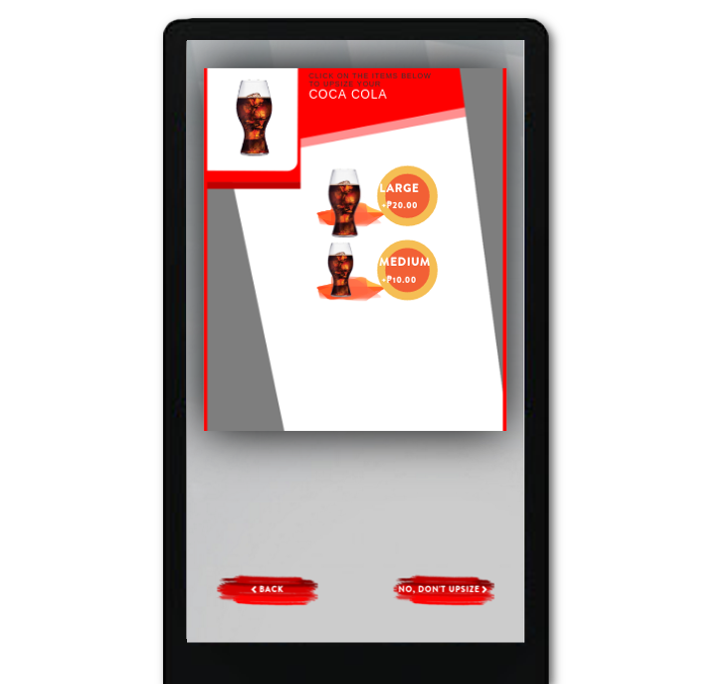 Because almost all restaurants ask customers regarding sizes of products they want to order, we provided a way to detect which items are upsizeable and ask customers if they would prefer an upsize of that product.